When I watch a movie my gerontology training comes with me. Unexpectedly a crazy good rap soundtrack is the background to three generations struggling with addiction, caregiving, and medical debt. 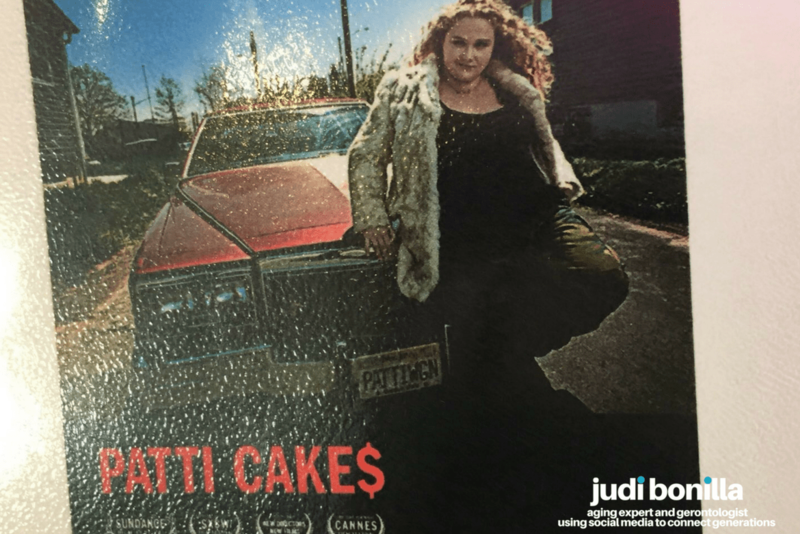 PATTI CAKE$ is also a look at the 10 million Millennial caregivers with dreams and the grit to make them happen. If you are lucky you may know your neighbor day. However, few of us ever know our neighbor’s dreams, hopes or aspirations. PATTI CAKE$ give us a window into the neighbor next door and much more. While political pundits try to explain the split in America PATTI CAKE$ show’s us what life is like for many American families today. Anyone who has ever had a dream to get ahead knows the reality. First, it begins with a dream. In this case, Patti a rough, wardrobe challenged, Jersey girl, living in a chaotic household with dreams of being a rapper. Next, we meet her team of believers PB&NJ. Her crew of believers including a chain smoking septuagenarian, a do-rag wearing lab tech, and an anarchist. In case you wondered if your neighbors have a more exciting life than you do this movie sets the record straight. Why yes they do in the alter egos of their dreams. While fantasies provide hope the gritty reality of failure stalls dreams. However, sometimes an unstoppable beat changes everything. I’m an author, aging expert, and gerontologist dedicated to educating, empowering, and inspiring Americans to age well. In order to influence change, I connect to multigenerational audiences through social media. In addition, I work with start-ups, agencies, and small businesses to enhance service delivery to older adults. As a valued resource for topics about aging I curate information about aging on my blog, podcast, and new vlog. Click Here to learn more about me.